Immunizations and You | Live Healthy S.C.
We all know that children and other vulnerable groups need vaccines, but what about everyone else? While certain people are at greater risk for serious complications from diseases like the flu, anyone, including healthy adults, can benefit from receiving recommended immunizations- such as the annual flu shot and Tdap. Most adults from ages 19 to 49 fail to get immunized because they “don’t like needles”, say they are “too busy to make an appointment”, or think they “never get sick and don’t need to be immunized”. Unfortunately, these excuses come at a cost. Everyone needs to stay current on their immunizations, even healthy people. Every year, thousands of healthy American adults get sick, or are hospitalized because they did not get vaccinated, causing millions of hours of missed work and school days. Talk with your health care professional to learn which vaccines are right for you based on your age, health, job, lifestyle, and other factors. By taking these steps you can stay up-to-date to make sure you have the best protection from serious disease. 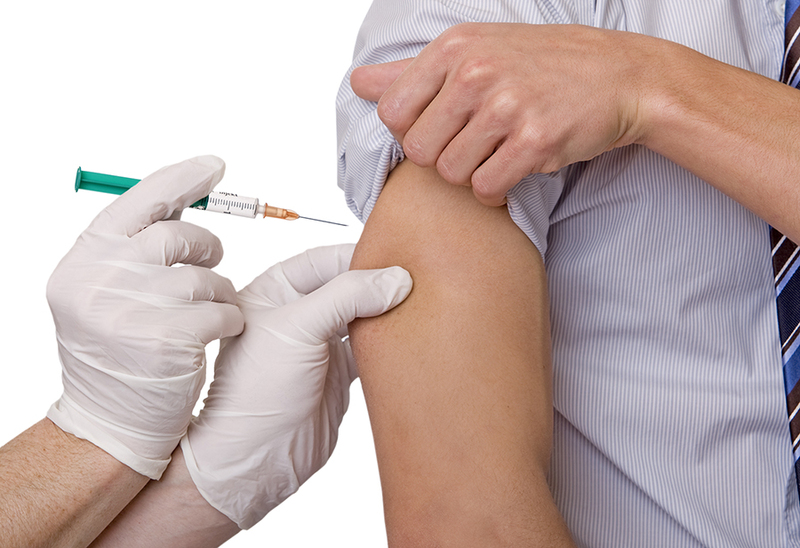 The CDC has information posted on its website about vaccinations for healthy adults. This entry was posted in Disease Control, Prevention and tagged immunizations, vaccines on September 2, 2014 by SC DHEC.